Research-based advice for people who care for someone with dementia Nearly half of U.S. citizens over the age of 85 are suffering from some kind of dementia and require care. Loving Someone Who Has Dementia is a new kind of caregiving book. It's not about the usual techniques, but about how to manage on-going stress and grief. The book is for caregivers, family members, friends, neighbors as well as educators and professionals anyone touched by the epidemic of dementia. Dr. Boss helps caregivers find hope in "ambiguous loss" having a loved one both here and not here, physically present but psychologically absent. 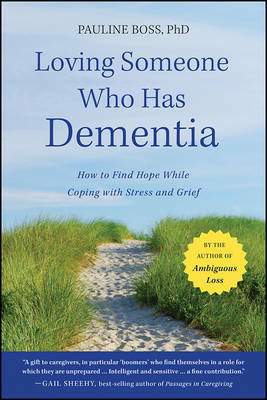 * Outlines seven guidelines to stay resilient while caring for someone who has dementia * Discusses the meaning of relationships with individuals who are cognitively impaired and no longer as they used to be * Offers approaches to understand and cope with the emotional strain of care-giving Boss's book builds on research and clinical experience, yet the material is presented as a conversation. She shows you a way to embrace rather than resist the ambiguity in your relationship with someone who has dementia.